In honor of the Super Bowl this weekend, I thought I'd share one of my favorite snack foods: homemade tortilla chips and salsa. Yum! I could eat this every day. 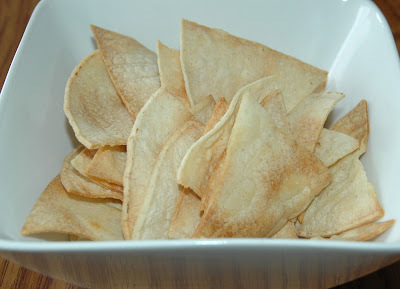 Homemade Tortilla Chips -- Corn tortillas sprayed with a little cookie spray, a little sprinkle of kosher salt and baked for about 10 minutes. These don't last long at my house. My family gobbles them up. 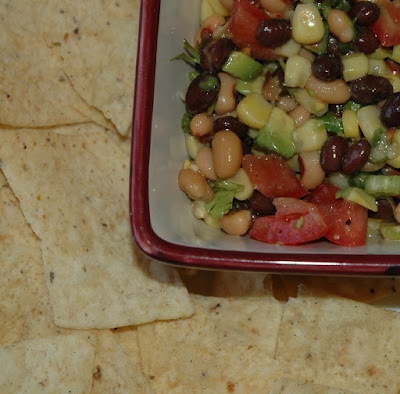 We love the chips with this quick salsa. 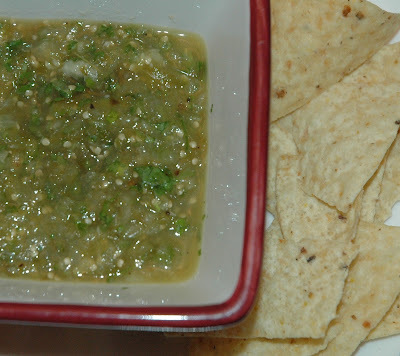 Since we're talking about salsa...we also love this salsa. Man, I wish I had some chips and salsa now. I guess I'll have to make some on Sunday as part of our Super Bowl munchies. Can't wait!